Funkadelic--Sly And The Family Stone-- Dance To The Music! I have no scientific proof, no surveys, nothing ripped from the web, but just a casual observation as been in retail one can notice people walking through the store. I wonder why people get together. Something in common, but what? Common interests can change or wane, causes can change, things that used to be loved by both stop being loved. The it dawned on me. They look the same. Not the whole face, but the nose! The nose seemed to look the same. Not exact of course, but close enough to make this very interesting. Especially in pictures of senior citizen couples, it is a distinguishing feature. again it is just a thought. Look around and let me know what you think. I couldn't go into the weekend on such a sad note. I am not a big fan of U2, but this song is a big exception. You might notice back then that Bono is without out his trademark sunglasses. 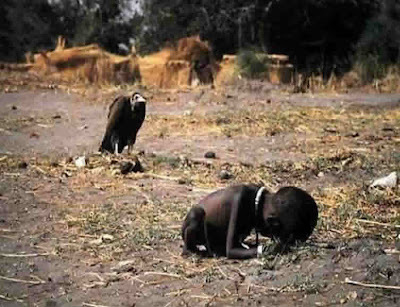 This photograph showing a starving Sudanese child being stalked by a vulture won Kevin Carter the 1994 Pulitzer Prize for feature photography. Johannesburg - Kevin Carter, the South African photographer whose image of a starving Sudanese toddler stalked by a vulture won him a Pulitzer Prize this year, was found dead on Wednesday night, apparently a suicide, police said yesterday. He was 33. The police said Mr Carter's body and several letters to friends and family were discovered in his pick-up truck, parked in a Johannesburg suburb. An inquest showed that he had died of carbon monoxide poisoning. Mr Carter started as a sports photographer in 1983 but soon moved to the front lines of South African political strife, recording images of repression, anti-apartheid protest and fratricidal violence. A few davs after winning his Pulitzer Prize in April, Mr Carter was nearby when one of his closest friends and professional companions, Ken Oosterbroek, was shot dead photographing a gun battle in Tokoza township. Friends said Mr Carter was a man of tumultuous emotions which brought passion to his work but also drove him to extremes of elation and depression. Last year, saying he needed a break from South Africa's turmoil, he paid his own way to the southern Sudan to photograph a civil war and famine that he felt the world was overlooking. His picture of an emaciated girl collapsing on the way to a feeding centre, as a plump vulture lurked in the background, was published first in The New York Times and The Mail & Guardian, a Johannesburg weekly. The reaction to the picture was so strong that The New York Times published an unusual editor's note on the fate of the girl. Mr Carter said she resumed her trek to the feeding centre. He chased away the vulture. Has it been that long ago? 1992 seems a long time ago that the USA olympic team put together a great ensemble of some of the best to play the game. This came after the relaxing of the rules that previously had only college players playing against government sponsored olympic teams from other countries. Of course once done, there was no going back. The expectations were that USA would dominate every game and win the gold medal and they did not disappoint the fans. This video quickly shows the opening line-up and before the start of the game was the closest the score would be once the game started. One of the rites of passage for a young man is hair growth, a hint of a beard, a mustache, sideburns, and yes, other places. They all are a sign one is approaching manhood. Life moves on, one grows older, everything is in place and then it happens. Hair sprouts! WTF! Eyebrows go wild, the nose wants to grow its own mustache, and what is it with the ears? Sometimes even the forehead wants to get in the act with a strand all by itself. Men don't pluck, women do. In most cases, an attack on the hair with a razor trying with all the skill of making an ice sculpture to eradicate the offending culprit. Some men don't care, giving themselves a sheepdog look(sorry sheepdogs). Most try their best. 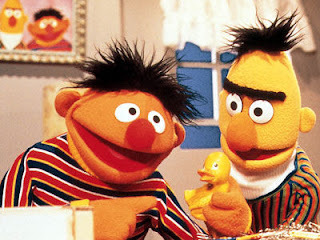 We don't want to walk into any room looking like Bert or Ernie! Sometimes the video gets in the way of the song. A new Publix Supermarket opened in North Tampa, FL. It has an automatic water mister to keep the produce fresh. Just before it goes on, you hear the distant sound of thunder and the smell of fresh rain. In the liquor department, the fresh, clean, crisp smell of tapped Bud Lite beer . and the air is filled with the pleasing aroma of bacon and eggs frying. What do you do for a living is one of the first things someone asks when you meet. A common question, inquiring minds want to know. Sometimes the motive is where to place you in life, in their mind. Is it a job with stature, respect or is what I do for a living better then you. With guys, for the most part being very competitive, am I better then you? Bigger, faster, stronger, more powerful. More money, a measuring stick. Very common. I have it made, you don't. My financial muscles are bigger. And so on and so on. Each job has a stature all of it's own. Perception is reality, comparisons, bragging rights. But each job also has a tag with it, think of all the lawyer jokes and the thought of being a car salesman? Oh no, not me. Woman look at what a guy does for a living a bit different, I will hazard a guess. If she likes him, will he be a good provider, is he an up and comer, a man on the move, is he worthy of my time or should I move on? Of course, many women now a days earn more then men, but it wasn't always that way. 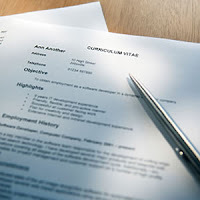 Job titles can sometimes be kind of fuzzy, hiding the true stature and rank of the person in question. Some people want to look down at you, it makes them feel better and superior, if only for a moment. I work in retail. I wear a vest with a name tag. Many days I look worn out and tired and dirty at work putting in the effort to make everything as perfect as possible for you the customer, trying to exceed your expectations so that your shopping experience will be a good one. I am here to help, explain and solve your problems with the right product or solution. You are here to buy and I am here to sell. I am foremost a salesman. I make more money then you think because I am good at what I do. I have expertise in what I do. No, I don't have the diploma on the wall stating that the person below is in good standing and has earned this degree, but none the less, I have earned the respect of my peers and my profession. Those that know how to sell understand, those that don't are called customers. As Monty Python used to say, "And now for something completely different!"! I watched a concert on PBS with the Celtic Women. They were wonderful. This song in particular stood out in my mind. I think it put the whole concert in perspective. Solve Rubik's Cube? 36 Years Later Clueless! In 1974, a new puzzle hit the market and took the world by storm. 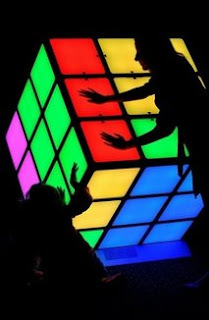 Rubiks Cube. Soon two groups of people emerged. The one's that could solve the puzzle, and the rest of us who were clueless. In fact, if I worked out every possible combination that it offered, I think I would still have not figured it out! I knew of someone, struggling to solve it, peeled off the colors on each cube and and re-stuck them in the right order. And then threw it away! Not me. I couldn't get the colors off. 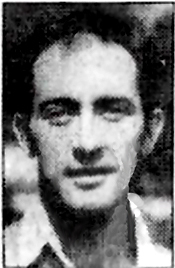 In 1981 52 moves were used to solve it. By 1992, 37 moves were needed. Now it is down to 20 moves. They call it the God's moves, the most efficient way to solve the puzzle. And that was with the help of Google's computers and billions of moves over a few weeks time. Fastest time to solve the puzzle, 7.08 seconds. My question is why? When you know how to do it, does speed matter? I guess for some it does. The research, published online, ends a 30-year search for the most efficient way to correctly align the 26 colored cubes that make up Erno Rubrik's 1974 invention. Disney was known back in the day of drawing the character around the voice and look of the person doing the part. Louis Prima , a great Las Vegas showman, was cast as the ape in Jungle Book. The second video(sorry the sync is off, couldn't find another), singing Just a Gigolo. David Lee Roth eat your heart out! I betting after hearing the music, those songs won't leave your head all day! Sometimes the only way to find out if anything is worth anything is to ask. Recently I brought some of my poetry to work to be read by a few of my co-workers, women of course, who I have had some meaningful conversations in the past. Yes, I picked them hoping for a favorable response. I gave them about ten poems, left them alone, and hoped for the best. Talk about a gut check. Posting on the web is one thing, face to face another. Then I returned. One thing I noticed immediately is they looked at me differently. I was cast in a new light. I heard words like "powerful, sad" and I wish I was there and glad I wasn't, and "beautiful". I had opened up a window to my inner being and they seemed to appreciate it. One said I should read at a coffee house on a poetry night. It did give me hope that my writing is not a useless endeavor. Definitely one of the ride along, windows down, cranked up volume to the max, cause people to stare, car songs to add to your list, if it is not there already! Crank it up and dance in that cubicle! Ouch! My Head Still Hurts! There is a lot of talk about professional sports, especially football, the violent impacts causing concussions and players having problems later in life. I wasn't a player, but I had/have my own issues growing up that maybe effected me and how I grew up. Painful memories in more ways that I like to think about. I have been knocked out several times between 7 and my early twenties. Why was I so unlucky, I don't know. When I was little, playing by a neighbors house, I was hit in the head with a hammer that was being swung about. Knocked unconscious. On the playground, playing baseball, I got to close to the batter who swung wildly, was hit in the head. Knocked unconscious. I was playing catch with my brother in front of my house. My dad was sitting on the stairs watching us. At one point he called out to me, I turned, but my brother had thrown the ball and with my head turned, hit me in the side of the head. Knocked unconscious. I was playing ice hockey at the local park outside, aggressive hockey, one guy took exception and hit me in the head from behind with his hockey stick. Knocked unconscious. Does that effect you later in life? Yes I think so. My math skills are limited. I don't trust myself with figures without a calculator. I remember standing in front of the blackboard, crying, that I couldn't understand the math problems. I always feel inferior to anyone that is good in math. or figures. or bookkeeping. accounting. I stopped trying to move up in the business world because I didn't want to fail at something so easy for others and so difficult for me. I transpose numbers at critical times. Counting money, I couldn't be a cashier because I would make money blunders that could cost me my job. I tried to get some additional schooling and advance myself, but on too many occasions, I just wouldn't or couldn't get it. Like someone who never learned to read and faked their way through life, I made do. But I knew something was missing. All my life I struggled trying to figure out what i was good at. Wandered from job to job. I didn't know what to do. I was very shy growing up and not until my late twenties did I start to show some promise as a salesman. Much later in life, I started getting good at it, and my pay has slowly gone up. Almost everyone that has made it big in life seems to have great math skills. I realized early on that would not be me, but I didn't stop trying. Somethings take me forever to learn, but when I do, I can do them in my sleep. But few have the time or patience to let me find my way. I am a voracious reader. A great thirst for knowledge. I have been told I am creative. I can visualize problems and come up with solutions. I am competitive. I believe I am compensating for my short comings, that is probably true. I know that I am not the brightest or the dumbest. It is what it is. It is always somewhat painful to talk about one's shortcomings. But sometime it is therapeutic to write about it. Better then the original I think. Another side of Robert Palmer, a mood inducing tune. Remember Arsenio? Possibly one of the scariest movies of all time, the Exorcist set the bar for a scary ride home after watching it and a restless sleep later that night. It awakened hidden fears in the unknown. The movie production company was plagued with many problems during the filming of this classic. It is recommended viewing. The song, Tubular Bells, by Mike Oldfield, is both haunting and beautiful. No, I don't look like the picture, never have, never will. But over the years, one's mind and body can learn to do what is needed muscle wise. But yesterday, it happened again. Someone was struggling, trying to move something heavy. I moved it with ease myself. He exclaimed " I have old man strength". This is not the first time someone has said that. I must admit it made me feel good. And then moved on to do something else.